Information-Processing Channels in the Tactile Sensory System addresses the fundamental question of whether sensory channels, similar to those known to operate in vision and audition, also operate in the sense of touch. Based on the results of psychophysical and neurophysiological experimentation the authors make a powerful case that channels operate in the processing of mechanical stimulation of the highly sensitive glabrous skin of the hand. 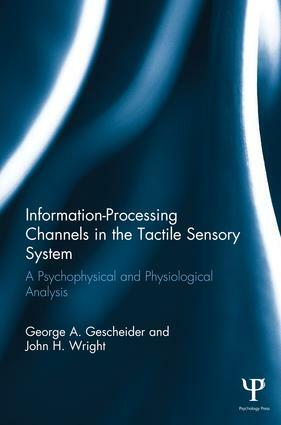 According to the multichannel model presented in this monograph, each channel, with its specific type of mechanoreceptor and afferent nerve fiber, responds optiimally to particular aspects of the tactile stimulus. It is further proposed that the tactile perception of objects results from the combined activity of the individual tactile channels. This work is important because it provides researchers and students in the field of sensory neuroscience with a comprehensive model that enhances our understanding of tactile perception.